Cicada. 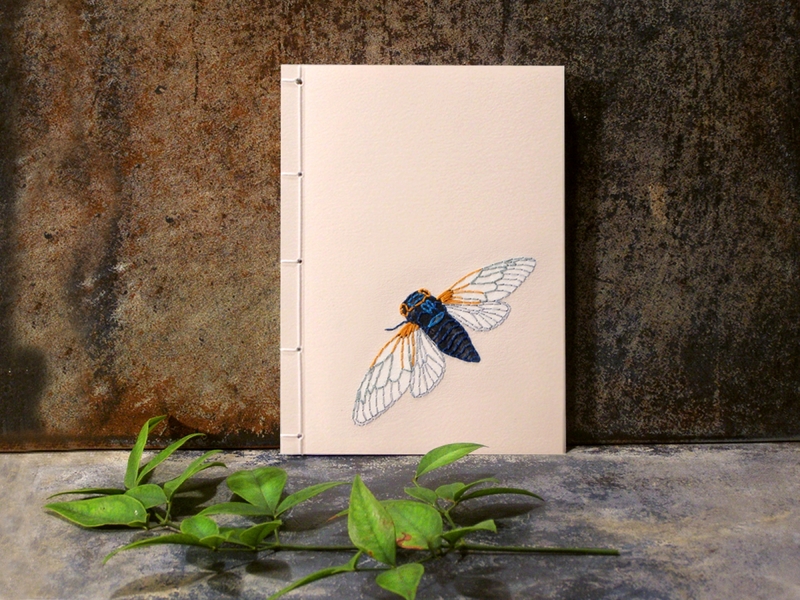 Small Embroidered A6 Notebook. 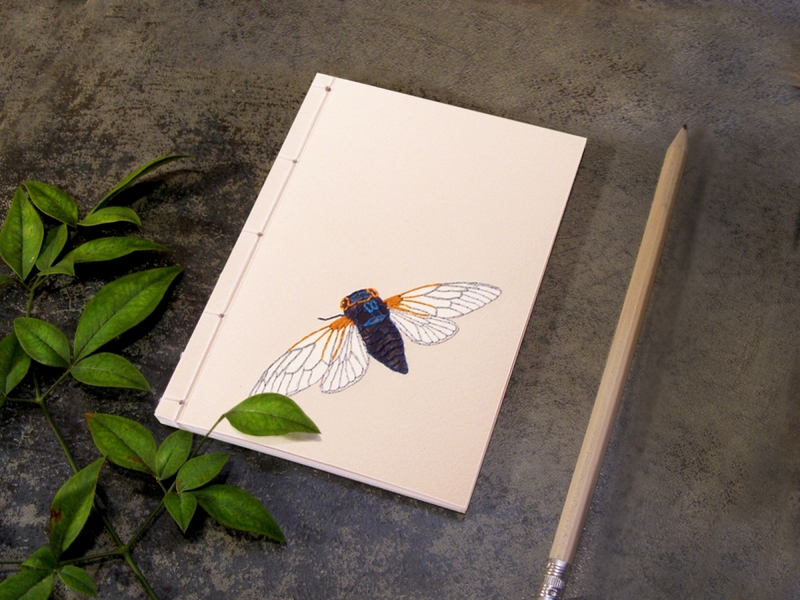 This small Japanese-style notebook is made by using a traditional stab binding technique. 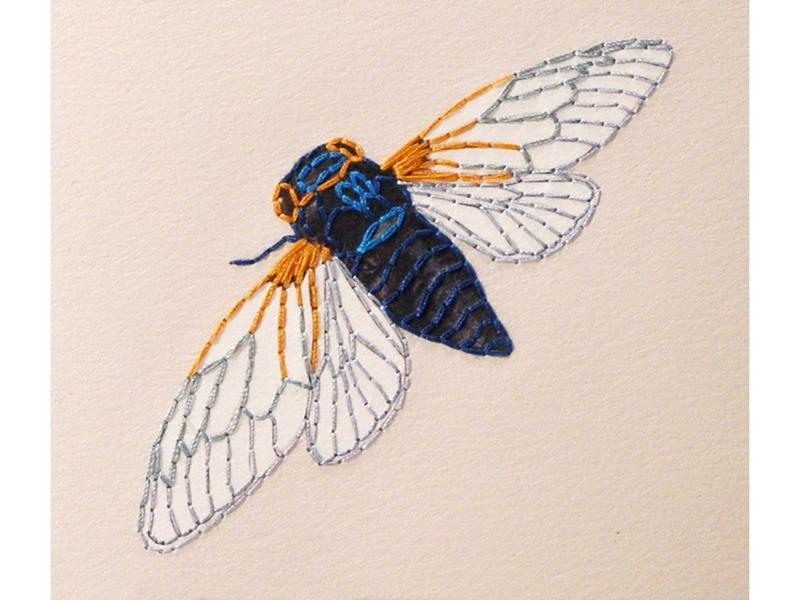 Front cover of a pale pink card stock, hand embroidered with a cute Cicada in blue, gray and orange cotton threads. 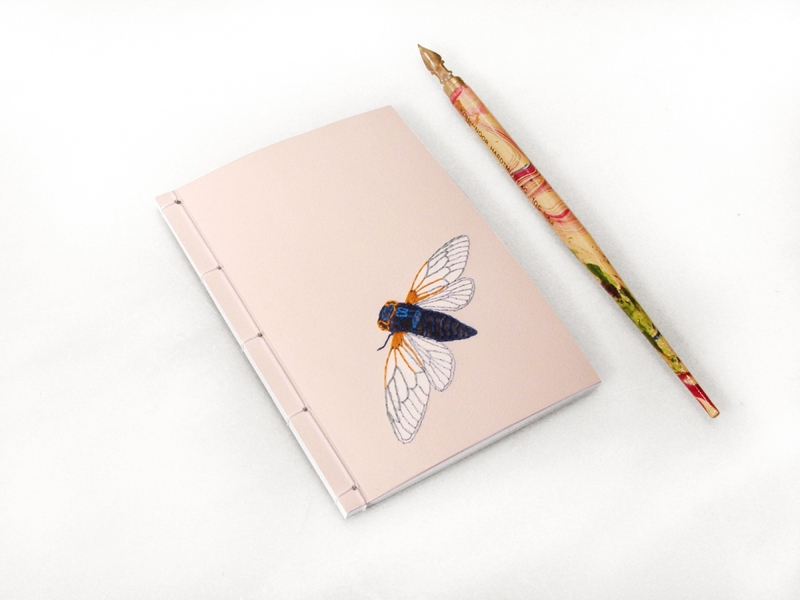 A cute jotter for hot summer days. Tinted inside the embroidery with colored pencils. 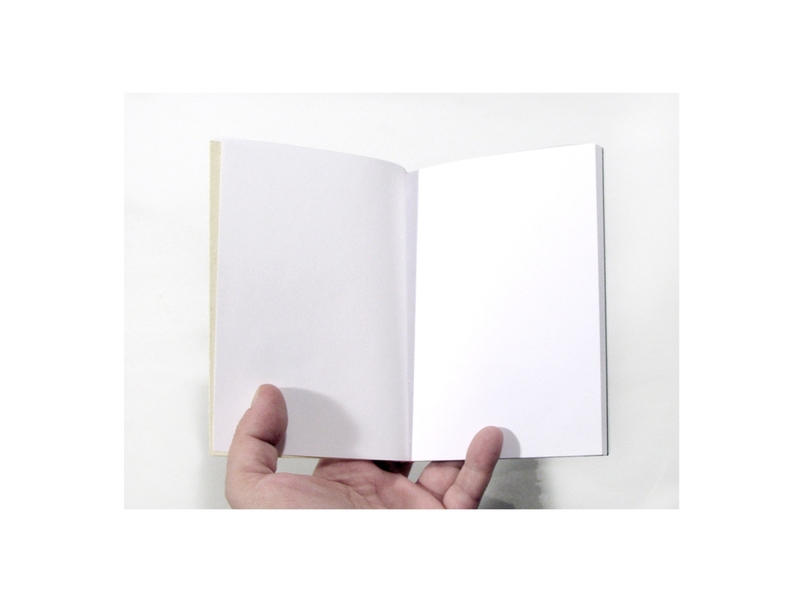 Contains : 50 sheets of plain white paper (100 pages front and back).